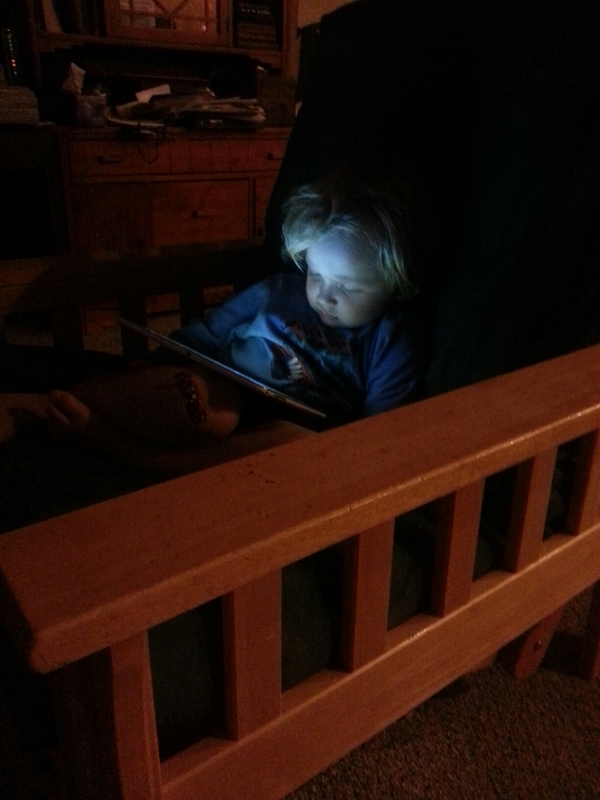 Here is my youngest son all cozy before bed, watching what he wants, where he wants. His content is on demand. I would have never guessed, even five years ago, that my kids would be watching people on YouTube playing video games?!? TV is really dead. Right now, as I am logged into my WordPress account on my Android phone posting, my wife is doing whatever she does (lol) on our ageing laptop, my youngest is on my wife’s tablet watching Netflix ; my two middle boys are playing Minecraft I’m split screen on out TV, and my oldest is watching Minecraft videos on his device. It all sounds exciting is suppose, but socializing and all of us sitting together to watch a movie seems somewhat foreign. I have a similar scenario at my place, When we’re all done with our dinner, My mum sits on one side of the bed playing candy crush saga on her phone, while my dad is busy using facebook on my desktop, and well, I can’t use my desktop so I pull out my Mac book Air, surfing around! Next PostNext My old fountain pen lives!